The taxpayer funded West Belfast festival has once again caused outrage amongst Unionists after the final night performance included chants of “oh ah up the Ra”. The chants glorified the proscribed Irish Republican Army, which an independent report in 2015 found remained armed and in existence. Despite being vocal on Unionist bonfires, the Alliance party, Sinn Fein and the SDLP have remained silent in relation to the pro-terror chanting at the taxpayer funded festival. In recent days convicted IRA bomber Gerry Kelly has called for Nationalist parties to unite in pursuit of Irish unity. It would seem that this pan-Nationalist coalition is already in existence given that the SDLP and Alliance party regularly vote alongside Sinn Fein on all major social and cultural issues- including the targeting of all aspects of Unionist cultural expression. Republican festivals have caused controversy in recent years when another band performing indulged in numerous pro-terror chants alongside vile abuse of British soldiers. The band was not prosecuted for this hate crime. 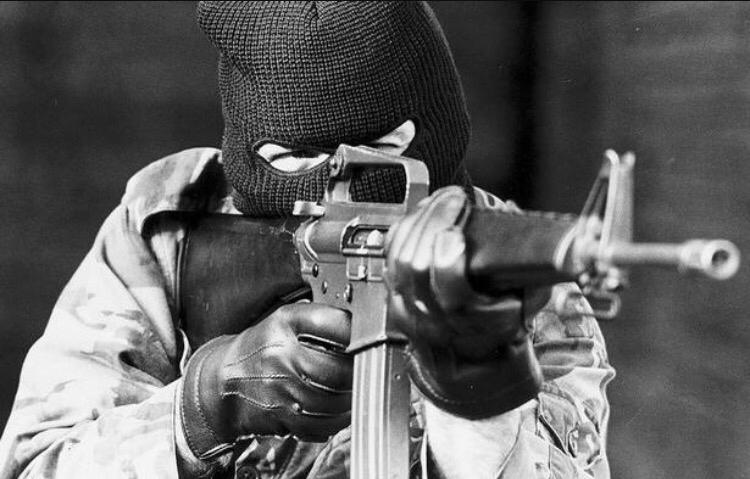 The Director of Public Prosecutions has previously taken part in talks at the festival and is known to have acted for almost all of the IRA’s most senior members during the conflict. 161 Responses to "NEWS: Pro-IRA songs at taxpayer funded West Belfast festival "
My coder is trying to persuade me to move to .net from PHP. I have always disliked the idea because of the expenses. But he’s tryiong none the less. I’ve been using WordPress on a variety of websites for about a year and am concerned about switching to another platform. I have heard good things about blogengine.net. Is there a way I can transfer all my wordpress posts into it? Any help would be greatly appreciated! Thank you for any other wonderful post. Where else could anyone get that kind of info in such an ideal manner of writing? I have a presentation subsequent week, and I am on the look for such info. Throughout this awesome pattern of things you receive a B- just for hard work. Where you actually confused us was first in the details. As it is said, the devil is in the details… And it could not be much more true right here. Having said that, permit me reveal to you what exactly did do the job. The authoring is rather persuasive and this is probably the reason why I am taking an effort to comment. I do not make it a regular habit of doing that. Next, whilst I can notice the jumps in logic you come up with, I am not really confident of just how you seem to connect your details which in turn help to make your conclusion. For the moment I shall yield to your point however hope in the near future you connect your facts better. The very core of your writing whilst sounding agreeable at first, did not really sit properly with me after some time. Someplace throughout the sentences you managed to make me a believer but just for a while. I still have got a problem with your leaps in assumptions and you might do nicely to fill in all those gaps. In the event you actually can accomplish that, I would certainly be impressed. Hi there, I found your web site by means of Google while looking for a related matter, your web site got here up, it appears to be like good. I’ve bookmarked it in my google bookmarks. I’ve learn a few excellent stuff here. Definitely price bookmarking for revisiting. I surprise how so much effort you put to create this type of great informative website. I liked as much as you’ll receive performed proper here. The sketch is tasteful, your authored subject matter stylish. nonetheless, you command get bought an edginess over that you wish be delivering the following. ill certainly come more before once more as exactly the similar just about a lot ceaselessly inside case you protect this hike. I’m really loving the theme/design of your weblog. Do you ever run into any web browser compatibility problems? A number of my blog visitors have complained about my site not operating correctly in Explorer but looks great in Chrome. Do you have any suggestions to help fix this issue? A lot of whatever you mention happens to be astonishingly accurate and it makes me ponder why I had not looked at this with this light before. This particular article really did switch the light on for me personally as far as this particular subject goes. But at this time there is actually one particular point I am not really too comfy with so whilst I attempt to reconcile that with the actual central theme of your position, allow me observe what the rest of your visitors have to point out.Well done. We absolutely love your blog and find the majority of your post’s to be just what I’m looking for. can you offer guest writers to write content in your case? I wouldn’t mind producing a post or elaborating on most of the subjects you write related to here. Again, awesome web log! I’ve been exploring for a little bit for any high-quality articles or blog posts on this sort of area . Exploring in Yahoo I eventually stumbled upon this website. Studying this info So i am happy to exhibit that I’ve an incredibly just right uncanny feeling I discovered exactly what I needed. I such a lot indisputably will make sure to don’t fail to remember this web site and provides it a look on a relentless basis. Hey very nice web site!! Man .. Excellent .. Amazing .. I will bookmark your site and take the feeds also…I’m happy to find a lot of useful info here in the post, we need work out more techniques in this regard, thanks for sharing. . . . . .
Wow, wonderful weblog format! How long have you been running a blog for? you make running a blog look easy. The overall look of your web site is great, let alone the content material! Howdy! This post could not be written any better! Readingthis post reminds me of my good old room mate!He always kept talking about this. I will forward this write-up to him.Pretty sure he will have a good read. Thanks for sharing! Its such as you read my thoughts! You appear to know a lot approximately this, such as you wrote the e-book in it or something. I feel that you can do with some percent to force the message house a little bit, however other than that, this is fantastic blog. A great read. I will definitely be back. I actually wanted to post a small comment in order to express gratitude to you for the awesome tips you are posting at this site. My considerable internet research has finally been compensated with reputable insight to talk about with my contacts. I ‘d suppose that many of us website visitors actually are rather lucky to exist in a great community with many wonderful people with interesting tips. I feel very fortunate to have come across your entire webpages and look forward to plenty of more exciting minutes reading here. Thanks a lot again for all the details. Hmm it appears like your site ate my first comment (it was super long) so I guess I’ll just sum it up what I had written and say, I’m thoroughly enjoying your blog. I as well am an aspiring blog blogger but I’m still new to everything. Do you have any points for inexperienced blog writers? I’d definitely appreciate it. In the great design of things you get an A+ with regard to effort. Where exactly you lost us ended up being in the specifics. You know, it is said, the devil is in the details… And that couldn’t be much more true in this article. Having said that, let me inform you exactly what did give good results. Your text is definitely highly persuasive and that is possibly the reason why I am taking the effort in order to comment. I do not make it a regular habit of doing that. Next, although I can easily see the jumps in reason you make, I am definitely not certain of just how you appear to connect your ideas which inturn produce the final result. For right now I will subscribe to your point however trust in the near future you actually link your facts better. An outstanding share! I’ve just forwarded this onto a coworker who has been doing a little homework on this. And he actually ordered me dinner simply because I stumbled upon it for him… lol. So allow me to reword this…. Thank YOU for the meal!! But yeah, thanks for spending the time to talk about this topic here on your internet site. My programmer is trying to convince me to move to .net from PHP. I have always disliked the idea because of the costs. But he’s tryiong none the less. I’ve been using WordPress on several websites for about a year and am anxious about switching to another platform. I have heard very good things about blogengine.net. Is there a way I can import all my wordpress content into it? Any kind of help would be really appreciated! I was very happy to find this net-site.I wished to thanks to your time for this excellent read!! I positively enjoying every little little bit of it and I’ve you bookmarked to take a look at new stuff you weblog post.